Azimu'llah Khan Nasser-Zia [Azim Nasser-Zia] Azizullah Nasser-Zia born 24/25th March 1949. married 1974, Mahbuba Begum, daughter of Sardar Dr 'Abdu'l Satar Khan, by his wife, Jamila Begum, youngest daughter of H.E. Habibu'llah Khan Tarzi, sometime Ambassador to the USA. He got divorced from his first wife and is now married to Razia Nasser-Zia. 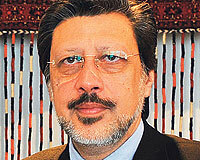 Nasser-Zia is a member of the royal family and a grandson of Mahmud Tarzi.